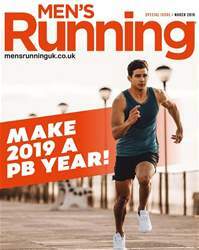 Digital Subscriptions > Men's Running > March 2019 > IS IT BETTER TO CHASE OR BE CHASED? Emil Zápotek could win any type of race. At the 1952 Olympics in Helsinki, the legendary Czech claimed the 5000m with a blistering last lap of 57.5 seconds that took him from fourth to first, and having added the 10,000m he decided to compete in the marathon for the very first time. He paced himself alongside British world record holder Jim Peters, who after a fast opening 15K made the mistake of telling Zápotek he thought the pace was too slow in an attempt to put him off. Taking him at this word, Zápotek attacked, set an Olympic record and became the first and only athlete in history to win the 5000m, 10,000m and marathon in the same Games. Peters didn’t finish. That’s an incredible achievement, of course, and its foundations lay in Zápotek’s tactical flexibility and mental strength. The Czech was famous for sandbagging with a feigned expression of pain plastered across his face, which he used to win races both from the front and with late surges from behind. In most cases, there are those of us who like to lead and those of us who like to follow.